Should Australia's manufacturing future be nuclear? It is not the first time in Australia’s economic history that a prevalent sector reaches its peak and gives way to a rapidly developing new one. However, while the mining and education sectors have apparently hit their peaks and manufacturing continues its decline (as seen by the planned withdrawal of Ford in 2016), there seems to be no replacement underway. There is another possibility – albeit a controversial one. Could – and should – Australia embrace the manufacture of nuclear fuel? More specifically, could the fabrication of nuclear fuel elements or fuel rods used in nuclear power generation plants, replace our current export of uranium oxide concentrate – so-called “yellowcake”? Australia exports nuclear fuel anyway. It is just the matter of doing it smarter and safer, adding more value to Australia’s product before it leaves our shores, while creating more jobs for Australians and making the world more secure. What is the reason Australia has not done this so far? Firstly, the countries capable of exporting fuel elements, such as France, historically started their fuel element fabrication industries intending to generate nuclear-based energy for themselves. Having abundant and easy to mine coal deposits, Australia did not have to bother about the nuclear industry. Secondly and more importantly, the nuclear industry is strictly (and rightfully) regulated. Even mining uranium ore is a very controversial and politically charged matter. To start producing fuel elements, a company must lobby federal and state governments; while for governments a huge task would be to face hostile anti-nuclear public opinion. Therefore, a vision and leadership is needed from the governments’ side to support any commercial interest in this industry. Most of the yellowcake used for power generation worldwide is produced by 17 nations. Australia is the third largest producer after Kazakhstan and Canada and meets about 20% of the world demand. 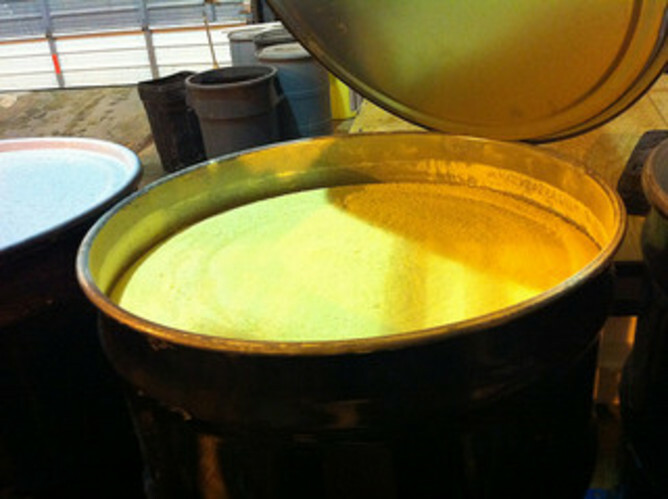 Of the producers – Canada, the United States, Germany and France – Australia is the only developed nation producing yellowcake that does not fabricate fuel rods. However, Germany and France produce only miniscule amounts of yellowcake and import considerable amounts of it for their domestic production of rods. Among growing energy markets, the largest – in absolute terms – potential growth of nuclear energy sectors is expected in India and China. The World Nuclear Organisation predicts – for China alone – five-fold increase to 58 GWe (Gigawatt) by 2020, to 200GWe by 2030, and to 400 GWe by 2050. To put this numbers into perspective, each existing or new nuclear-powered generation facility is or will use approximately 27 tons of the material – ready for nuclear fuel rods – per year per each 1 GWe of generation capacity, which – in current prices – is transformed into at least $40 million per year per 1 GWe of the yearly generation capacity. Both China and India, currently have very small uranium mining and fuel rod industries compared to their current and future demand. Both are resource-hungry and would consider increasing imports of either yellowcake, or fuel elements, or both. Therefore, the growing market demand can be met by developing Australia’s own fuel element manufacturing industry. So then, if established in Australia, to what extend would this industry be sustainable? Unlike yellowcake, fuel elements are normally fabricated to particular specifications of generation plants. Therefore, once established, producer-customer links are potentially for the life time of the generation facilities. The nuclear fuel element fabrication industry is capital, skill, and knowledge-intensive. It might add considerable value to the Australian export of nuclear fuel. It might help better utilising this country’s comparative advantage of abundant uranium deposits (up to 40% of known deposits in the world). 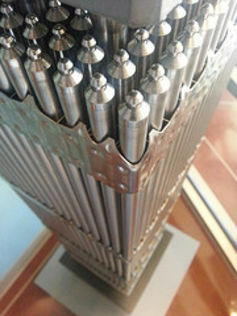 There are several stages of the very sophisticated process of nuclear fuel elements fabrication. All the stages require huge investments in industrial design, construction and equipment. This can be a boost for the building and engineering sectors with flow-on effects on research and development, education, training and other services and on the overall economy. This will boost the employment of the very extensive building stage and will maintain jobs at the fuel element fabrication stage. Many Australians have developed an “allergy” to the very idea of the nuclear industry in this country. There are different schools of thoughts. Some people don’t believe this industry can be safe at all, remembering well-known nuclear catastrophes in the former USSR and the most recent one in Japan. Others refer to the positive experience of such countries as France, Germany, Finland and Sweden and believe that the nuclear industry is cleaner and safer than any fossil fuel-based one. Meanwhile, the general public is not very aware that mining uranium ore and the fabrication of nuclear fuel elements – from the relatively simple stage of yellowcake to the very sophisticated stage of fuel rod manufacturing – is the safest part of the nuclear energy technology with a relatively low radioactivity of materials. The major nuclear disasters have actually happened at the power generation plants; while the nuclear energy industry learns a lot from every disaster and develops considerably more advanced safety technologies and procedures. Importantly, the mass of the nuclear fuel enriched for and locked in fuel elements is about 25% of the mass of the yellowcake used. Therefore, the logistics of transporting new (unused) fuel rods is cheaper and safer than of current operations with yellowcake. One of the concerns related to the nuclear energy is a possibility of proliferation of nuclear weapons. 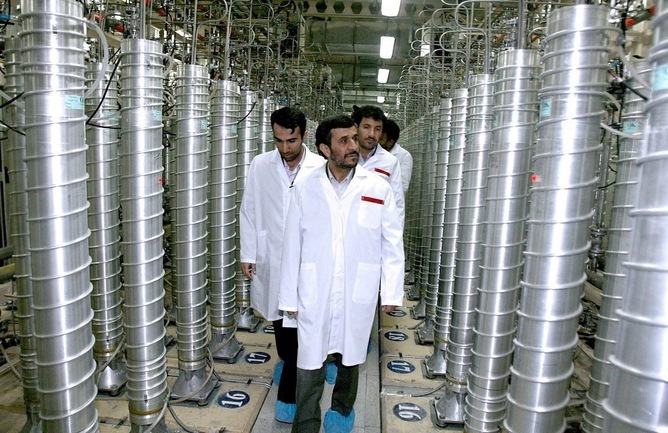 Once imported, yellowcake can be potentially used for both power generation and nuclear bomb manufacturing. The processes of transforming yellowcake into a weapon-grade material can be concealed. That is why, each new country willing to import nuclear materials and start their nuclear energy industry should be a signatory to the Nuclear Non-Proliferation Treaty. However, international control is still needed, but cannot be always effective. Meanwhile, custom-made fuel elements cannot be so easily diverted to weapon manufacturing and delivering rods to designated power generation plants can be more effectively controlled. Furthermore, converting the yellowcake export into the fuel elements one, considering this country’s potential power in this market, can give Australia a strong argument for replacing (where possible) the international movement of yellowcake with custom-made fuel elements. Establishing this new industry in Australia would need the Federal and state governments working together with the industry and the public. The governments need to reconsider the licensing regime. And it is important the public realistically weigh the risks against its potential benefits. Utilising this country’s comparative advantage is imperative in maintaining the high living standards Australians have become used to. And the argument is there that the potential new industry is sufficiently safe. Perhaps the time has come for Australians to reconsider their nuclear stance. Gennadi Kazakevitch does not work for, consult to, own shares in or receive funding from any company or organisation that would benefit from this article, and has no relevant affiliations. For quite some time we have been pushing the case for Australia to have a “cradle to grave” uranium solution (see below) and it is pleasing to see such a well researched and written article addressing the subject.